Geothermal energy is one of the most exciting and cheap source of green energy. It comes from the heat generated below the surface of the earth. Geothermal energy has great potential as a source to slow down and control the increasing global warming. It is a completely natural source and is environmental friendly. 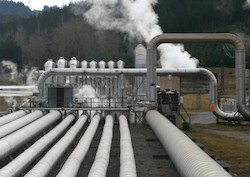 Many countries including the USA, China and Japan have already started using geothermal energy for different purposes. Geothermal energy can be used to generate electricity especially in those regions that are tectonically active. Geothermal energy is produced when wells are drilled down in to a geothermal reservoir that generates hot water, which is consequently converted into electricity that is used to run industrial power plants, etc. The hot water in the reservoir and steam created is the carrier of geothermal energy. Using geothermal energy to produce electricity is environmental friendly and can help curb global warming to a certain extent. As geothermal energy doesn’t use a lot of water, which is otherwise required to generate electricity, it is a sustainable way of producing electricity for huge power plants and projects. Geothermal energy essentially produces no carbon dioxide, or extremely low levels of it. Carbon dioxide is known to be one of the most considerable gases that stimulate global warming. Global warming has increased with time as industries generate electricity and the waste produces lets off carbon emissions and other gases such as methane and nitrous oxide. Geothermal energy helps to reduce the carbon footprint hence helps to mitigate global warming. Geothermal energy uses less land to generate energy and electricity with the help of hot water from the surface of the earth. 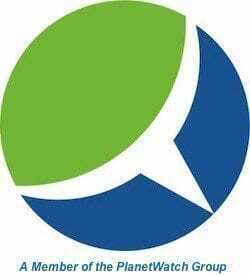 Out of all the sources used for electricity production such as wind, hydro power, nuclear energy, solar energy, natural gas, etc, geo thermal uses the least amount of land per generated power over a period. The use of geothermal energy has great potential to mitigate global warming as it releases the least or no amount of toxic gases that accelerate global warming and eventually have a negative effect on the habitat of the earth. The increasing use of geothermal energy in America has enabled homeowners to install geothermal heating and cooling systems in order to create a greener environment, mitigate global warming and save on thousands of dollars on bills and costs in the end. Many companies provide geothermal systems for homes to ensure hot and cold water is available at all times. Find out more about the nuts and bolts of geothermal systems.